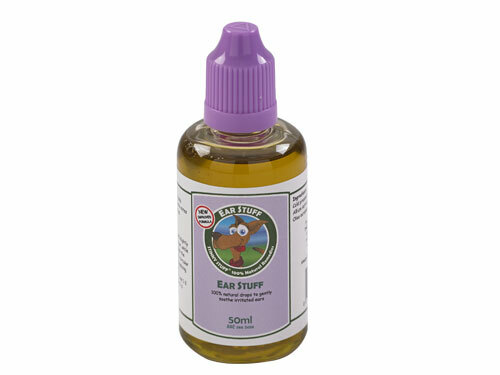 Ear Stuff ear drops contain naturally active ingredients specifically formulated to soothe irritated ears. Plus the drops are naturally anti-fungal, anti-bacterial and anti-parasitic to help soothe and relieve irritation in the ears, eliminate mites and parasites, soften wax build up and remove dirt. My 13 year old Cavalier King Charles Spaniel has struggled with 1 ear since he was 2 years old. My boy is on day 3 of the drops and I’m honestly blown away. We can actually see his ear canal for the first time in years! 5 days ago, this ear ( and our dog’s other ear) were both oozing thick black sticky, stinking gunk, nothing others ( and ££££) did could sort it. So I brought Stinky Stuff ear drops and THIS is the result!! Clean, clear no smell ears. Just a quick clean and one drop every morning now & still improving! Thank you Stinky Stuff! After reading about the ‘ear stuff’ for weeks I put it off as gimicky products don’t usually work…2 weeks later and this fella is one happy dog, no crusty ears, no scratching and crying when touch. He even comes for some good deep ear scratches now. I was unsure of purchasing this product as it was through Facebook. But after 3 months of reading everyone’s comments and looking into the ingredients, I wish I had brought it sooner! My staffie has stopped all her head shaking and scratching and it’s cleared up all the redness. Great stuff, would highly recommend!